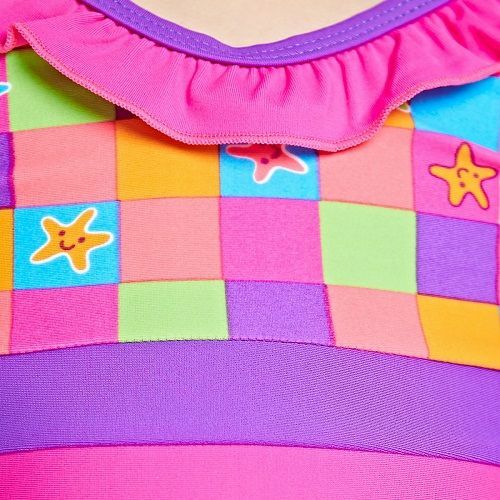 Little ones can make a splash in style with our Starcheck Frill V Neck swimsuit for girls, featuring adorable frill detail on the leg and neckline. Our vibrant Starcheck print features colourful blocks with smiley faced stars, while the open back and crossover straps allow for fantastic freedom of movement. Made from our super soft, quick drying and chlorine resistant Elastomax™ fabric, lasting up to 120 hours of pool swimming.